The Greatest Show on Earth is coming to Tampa next week! The circus is headed back to Tampa January 6-10th at Amalie Arena. My parents use to take my brother and me to the circus every year it was in town when we were little. We just took our kids for the first time last year. It always comes to Tampa around my daughter’s birthday, so it’s a nice treat for her. For me it’s a little bit nostalgic of my own childhood. A special thank you to Feld Entertainment for the tickets to this year’s performance. Ringmaster Johnathan Lee Iverson guides Paulo the Legend Seeker on a quest to discover real, living legends from around the world. Audiences will experience Alexander Lacey and his enduring bond with his lions, majestic leopard and tigers during one of the most captivating acts. The Solar Hawks, a dream team of acrobats, come together to amaze by attempting four consecutive triple somersaults on a one-of-a-kind double-wide trapeze specifically designed for The Greatest Show On Earth® thunder into the arena on the backs of thoroughbred horses stealing your breath with their daring stunts. Experience and learn about the special relationship between trainers and treasured Ringling Bros.® Asian Elephants as each trainer shows off individual elephant’s natural skills and abilities. Some of my favorite parts of the circus are the human performers. I love the acrobats, the tightrope walkers, and of course the clowns. 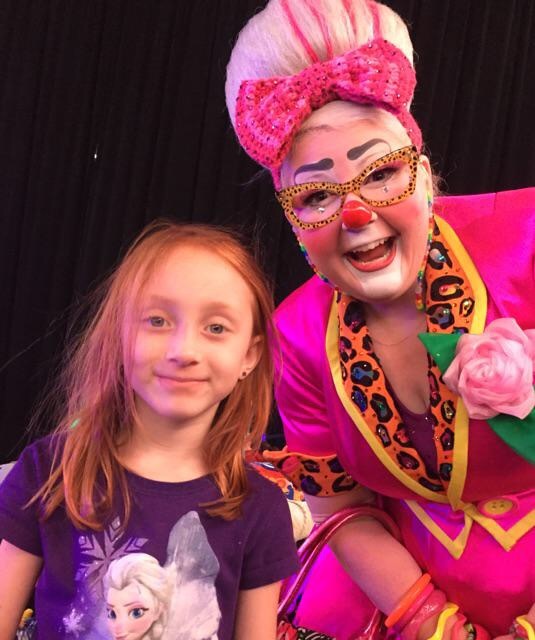 Since seeing the show last year I’ve enjoyed following Ringling Rosie (one of the clowns we met last year) on Instagram and just found out that we share a love for crafting. We both finished arm knitting a blanket this week, I think hers in much prettier!! Lil B and Ringling Rosie from last year’s performance. I asked my daughter what she was most looking forward to seeing and she said the lions and tigers, then she quickly added “and the elephants!” Then she asked if she could get some cotton candy again and maybe a souvenir from the gift stand. Tickets are still available for all of the showtimes in Tampa, prices start at only $16. You can use coupon code 4MOM and save $4 when you purchase your tickets in advance. The circus opens on Wednesday night and runs through the weekend (Jan 6-10th). Be sure to arrive about an hour early and enjoy the free preshow where you can meet some of the performers, get autographs and take lots of pictures on the show floor. You can get tickets at Ticketmaster or Ringling.com. If you’re in Tampa, will you be seeing the circus this year? What’s your favorite part of the show? I’ll leave the same ending that I did last year when I posted about the Circus, since I know that many of my readers may not approve or support the circus. Many of my fellow “green” bloggers don’t agree with the ethics of the circus and animals performing for our entertainment. I’m not an animal rights activist and the animals are not why I enjoy the circus. I would be just as happy at the circus if there were no animal performers. I visit zoos, we frequent Sea World, and yes, we’re going to the Circus! If you happen to have strong feelings about the Circus, perhaps this is one post you’ll want to skip over. Trust me, I understand where you’re coming from and you don’t need to leave me a million comments trying to convince me that I’m wrong. Kind and respectful comments will be left. Rude, disrespectful comments will be removed! PS: To read more about the conservation efforts and the good that comes from circus elephants please visit the Ringling Elephant Center. I’m going to see the same show in Jax 🙂 I love the show not for the animals but for the lights shows and I LOVE the high wire acts they do! 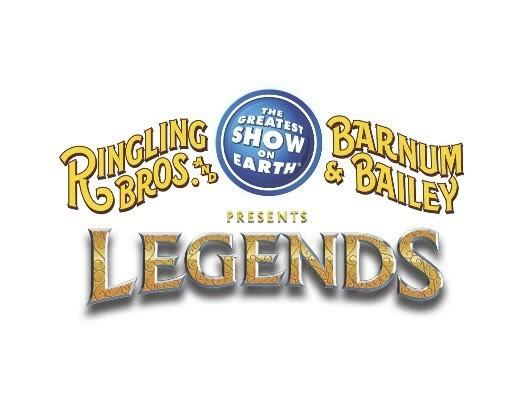 I would keep going to see it even if they got rid of all the animal acts as long as they keep the high wire acts 😉 I also love the motorcycles inside the cage.